A beautiful piece for a night out or just on the town for some fun, this elegant ring is sure to turn heads! 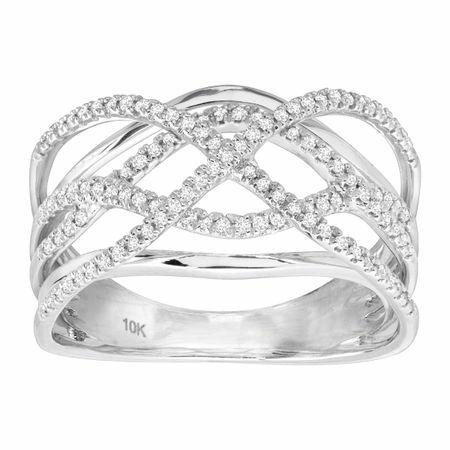 Features a sleek design, centered around channels of round-cut diamonds, totaling 1/3 ct, along interlocking ribbons of 10K white gold. No matter the occasion or day you can add a touch of elegance wherever you go with this classy and unique diamond ring! Ring face measures 1/2 inches in width.